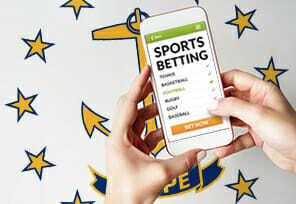 Rhode Island is getting even closer to introducing legal sports betting via mobile phones, after the state Senate committee collectively approved it on Wednesday. …probably by Tuesday, February 12th. Back in November, Rhode Island became the first New England state to introduce and fully legalize sports betting, and Twin River Casino in Lincoln started taking the first wagers. Very soon, Tiverton’s Twin River Casino opened another sportsbook to the public, so, for now, these two venues are the only licensed gaming facilities in Rhode Island. …but are not able to be physically present at Twin River Casinos. This way, bettors can use all the perks of the casino’s sports betting from anywhere in Rhode Island. The state is already working with William Hill and IGT on the development of the new apps. “The new in-person sportsbook that opened in November has been very popular, with lines stretching out the doors. Expanding to mobile gaming would provide a convenient option for those wishing to enjoy this form of entertainment, and open up the economic benefits beyond the walls of Twin River,” Ruggerio said. Ruggerio also added that one of the reasons for launching sports betting was complaints coming from the casino customers that the lines are too long and that they have to wait for a long time if they want to place their bets. This way, there will be no need to queue in order to enjoy sports gambling. Of course, the other reason is the even bigger revenue from wagering on sports events, especially when the country adds mobile gambling as an option. …while the chamber’s top Democratic leaders, along with the House speaker and House majority leader that are listed as the sponsors of the bill. If all goes well and the bill gets approved, it would take around six months to get mobile sports gambling up and running, according to the state lottery. This year, football fans from RI deposited a staggering $6.5 million during Super Bowl. 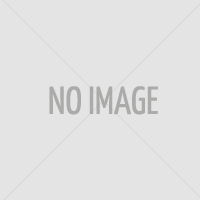 According to the statistics, the majority of the wagers backed the New England Patriots. The sportsbooks lost around $2.35 million, while the state earned around $1.2 million. “Move to Legalize Mobile Sports Betting Advances in Rhode Island”, Jennifer McDermott, wbur.org, February 7, 2019.